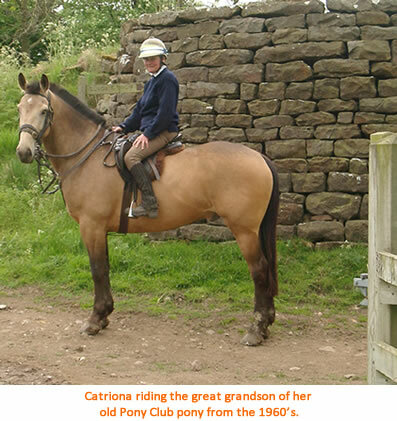 Catriona Cook explains the importance of the historic network and why it is the only method of delivering any meaningful length of byways and bridleways for equestrians. Walkers have access to 100% of the rights of way network, as well as the right to roam on Open Access Land, Forestry Commission land. Soon they are also to gain a linear coastal route and the foreshore. Equestrians and cyclists only have access to 22% of the rights of way network (in some areas this means no access) and drivers of horses and vehicles only have access to 5% of the network. Equestrians used to have Common Law access to moorland and the foreshore, but this has been denied by the restrictions of the Countryside and Rights of Way Act (CROW) 2000, which apply to Open Access Land and the Marine Act 2009, which applies to the foreshore. The correct recording of the historical rights of way network is, therefore, of great importance to both equestrians and cyclists. There are two means of extending the rights of network. One is through creation orders, either through agreement with landowners or through a compulsory order. The other is to correctly record the historic network. Why is recording the historic network so important, especially for equestrians? There has been no meaningful length of byways and bridleways provided through statutory creation powers. Any new routes are almost invariably footpaths. Historic routes are not new, they are public highways which already exist in law, but are not correctly recorded. Equestrians are currently at a disadvantage when claiming through use, since they are the group who are most easily barred. Unlike walkers and cyclists they cannot lift their horses over barriers and are tied to the local landowning fraternity for livery and horse feed. They are often subjected to intimidation. Many Definitive Map Modification Orders may start out based on user evidence, but in the end are won through historical documentation. In remote rural areas, the number of equestrian users is often too small for the authorities to count them as being significant, despite the route being highly useful to an individual. So the recording of a historic route is there not only for the few of this generation but for all future generations. When it comes to ‘need’ equestrians often have a greater need than walkers for a network, but they face the most opposition. Landowners, walkers, parish councils and county councillors can all be lined up against them. Many historic routes exist on the ground, with interesting landscape features such as sunken holloways, trods, packhorse bridges etc. Past generations used the most sustainable route for crossing the country and often built in drainage and surfacing, which lowers the costs of bringing a route back into the public domain. Landowners organisations state that these routes blight land and that there is uncertainty as to their whereabouts. Since all records regarding these routes are in the public domain, landowners can research their own land themselves in order to remove any uncertainty. In some areas volunteers have researched these routes and successfully added miles of rights of way to the definitive map. If Natural England were to enthuse local historians into doing the research, this would be a cost effective way of preserving these routes for future generations. Even when new rights of way are proposed across public land, years of prevarication can ensue. Imagine trying to negotiate a few miles across a dozen or more landowners. It is much easier to approach a landowner with an ancient route which exists in law, than to persuade them to dedicate a completely new route. Ten years have elapsed since the CROW Act and none of our ancient routes have been preserved for the use of this and all future generations. We only have fifteen years until they are all extinguished. Is it right that some of the country’s best landscape features are to become private property, when they in truth should belong to the public? Do you agree with Catriona?